Mere played a starring role in Spain's U21 European Championship campaign. Peter Stöger is continuing to build his squad ahead of the club’s first campaign in the Europa League for 25 years. The latest player to join the Billy Goats ahead of the 2017/18 season is Spanish centre-back Jorge Mere, signing on a five-year deal. "I'm really looking forward to Cologne and proving myself in the Bundesliga and the Europa League," Meré. "It's a club where young players can develop themselves. There were plenty of rumours, but my aim was always to join Cologne." Meré, 20, is a highly-rated central defender in Spain. The product of Real Oviedo’s youth set-up, Meré has grown to become one of the Spanish U21 team’s most important players since his debut at that level in March 2015. "We've been following Jorge Meré's development for a long time. He's quite advanced for his age, becoming a regular player in Gijon over the last two seasons, as well as convincing at the U21 EUROs in the summer. He gives us even more defensive possibilities," Cologne chairman Jörg Schmadtke announced. 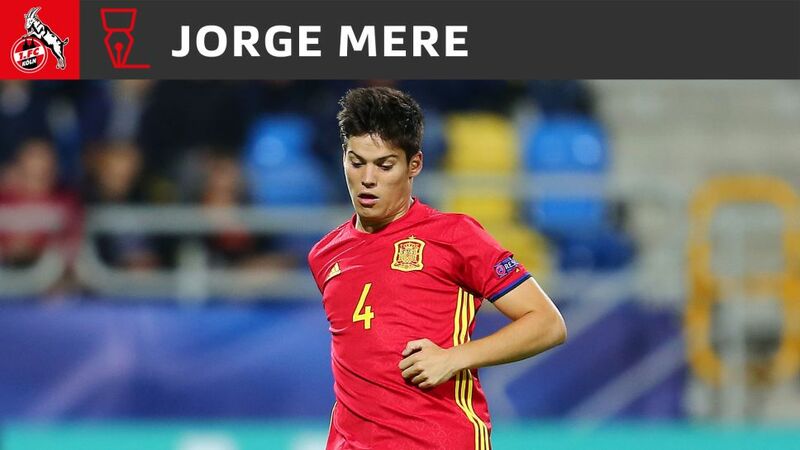 Meré started and finished four of Spain’s five matches at the U21 European Championships’s this summer, in which Spain finished runners-up only to Germany. Click here for more Cologne news and feaures.